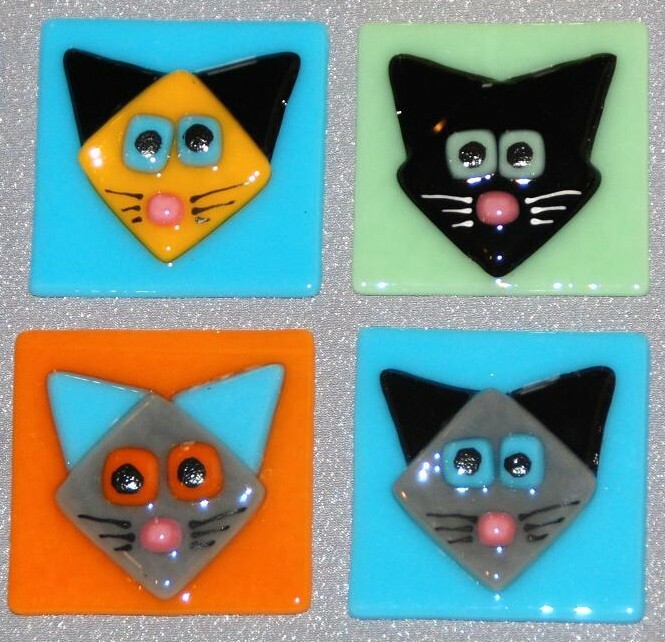 Cute little cats peer out from these custom fused glass tiles, each one with bright colors, big eyes, button nose, and curious whiskers. Handcrafted in our Seattle glass studio, you can order these kitties in any colors you wish. The tiles on top are fully fused, 4" x 4" tiles, for $28 each. Those below are 2" x 2", tack-fused for texture. Free shipping to U.S. customers. These cat tiles are tack-fused (fired at a lower temperature) so they retain their shape and texture. As shown, these are 2" x 2", but we can make them bigger for you. $14 each; free shipping to U.S. 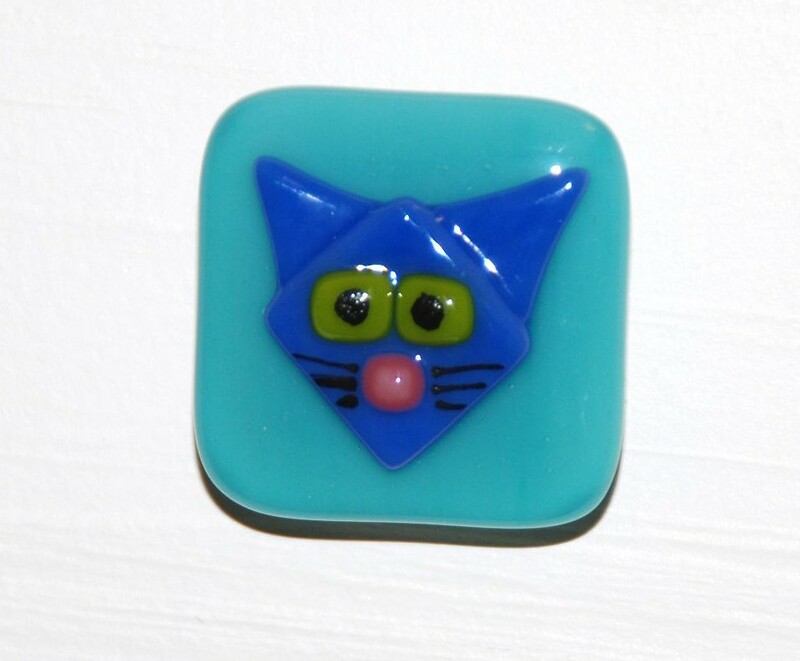 Introducing cabinet knobs in fused glass with cat faces! Each knob is about 1-3/4" square, 2 layers of glass, on standard sized hardware, with the knob 3/4" out from the drawer. Standard cabinet pull screw is included. $40 each. Specify your colors. Here is a project that one of our customers undertook: she put our cat tiles and Craftsman tiles around a full-length mirror for her walk-in closet. Fun!